One month ago, we left on our family vacation to Colorado! It certainly feels like a whole lifetime has since passed! We had so much fun together! Day 1: Our first stop was the American Girl Store near Denver. 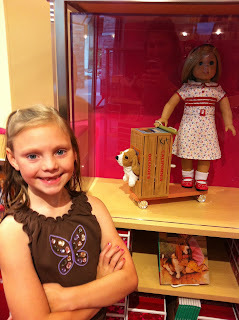 Cloe had saved up money and wanted to purchase Ruthie, Kit's best friend. The Lone Tree Mall area was beautiful. It made for a great first day of vacation! 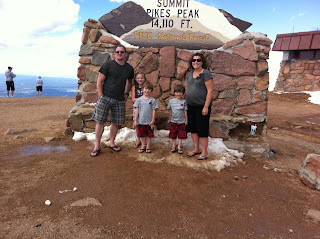 Day 2: we hooked up with Grandma and Grandpa in Colorado Springs. 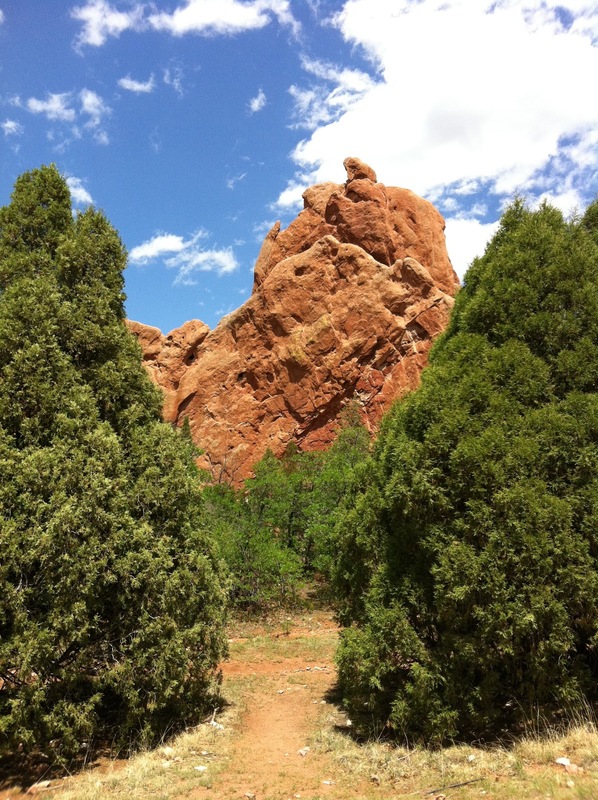 We walked around the beautiful Garden of the Gods. 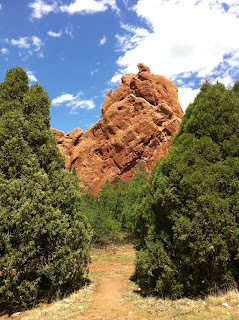 These rocks are such an awesome reminder of the vast creativity God used in designing our world! Grandpa and Grandma even hiked up some rocks! 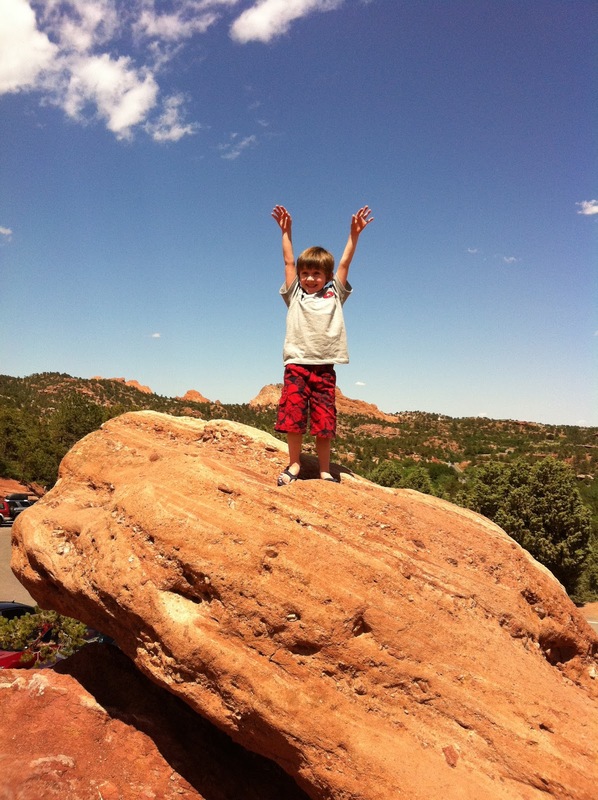 Carson loves to be the king! The first time we were here together was in college. Crazy the changes that happen over 15 years! Next we drove to the top of Pike's Peak. The Park Ranger offered me medical services for delivery...just in case! 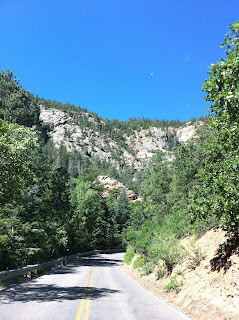 The drive felt crazy intense to me with it's sharp curves and drop off shoulders! Day 3: we road the Royal Gorge Railway. 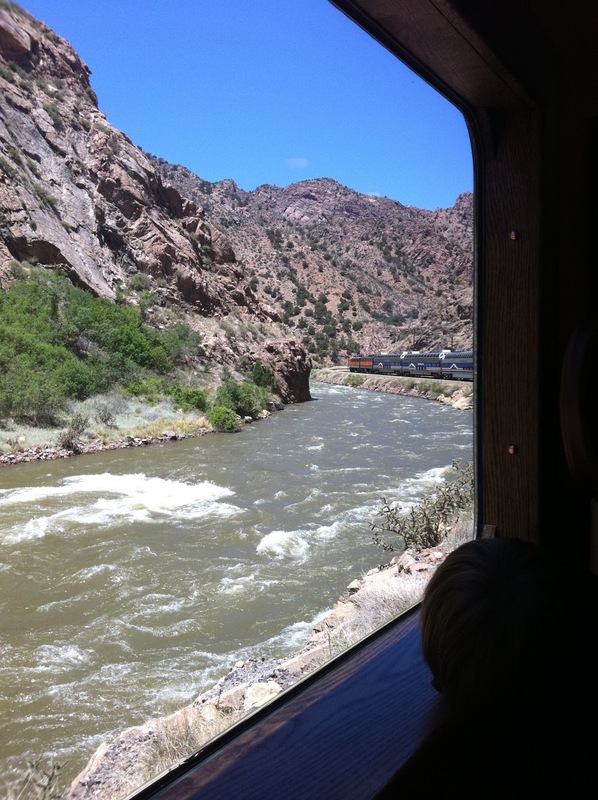 The train ride was so relaxing as it followed the Colorado River. The boys especially loved the train. 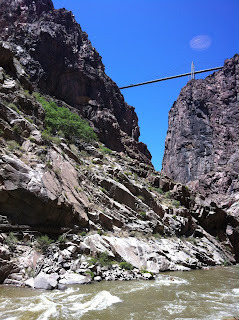 There's the Royal Gorge Bridge from our view below. McClain is the most squeezable kid! 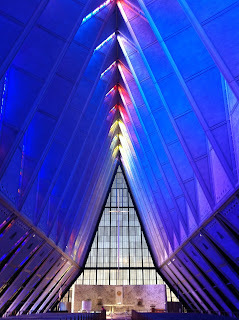 so we headed to the Air Force Academy Chapel. 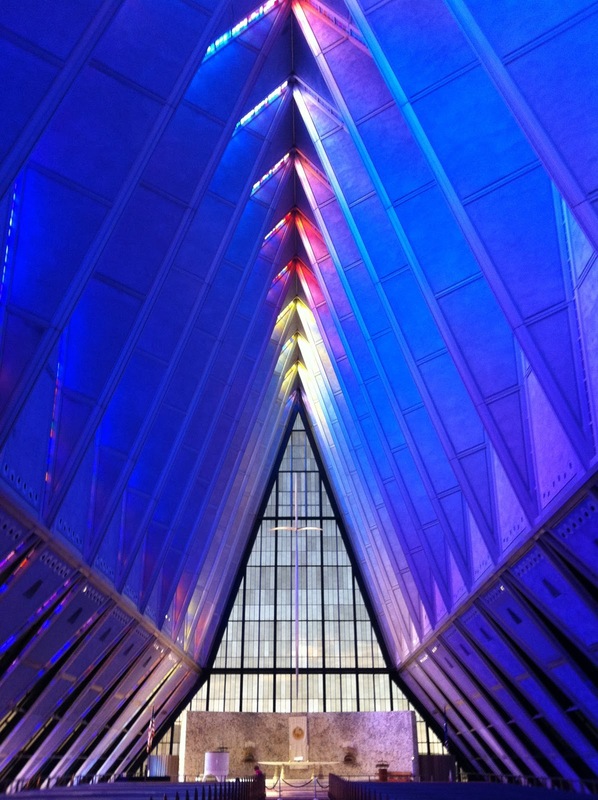 This chapel is so unique! The stained glass windows made beautiful rainbows. 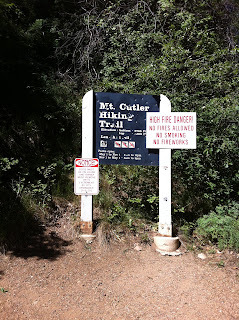 Day 4: we decided to check out some mountain trails! In college, we hiked up Mt. Cutler several times. It's a moderately easy trail that overlooks Seven Falls. The kids were happy little hikers! 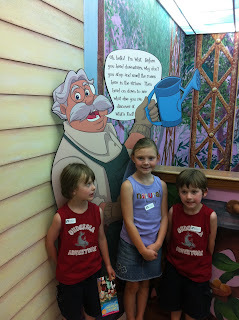 Our kids love listening to Focus on the Family's Adventures in Odyssey. The whole lower level of Focus on the Family has been turned into the town of Odyssey. 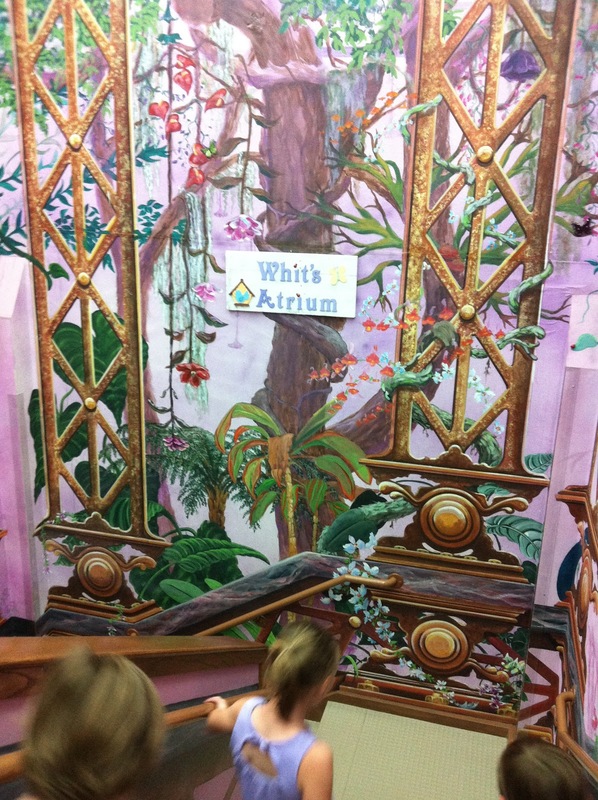 There were so many rooms to explore--the dress up room was a huge hit! 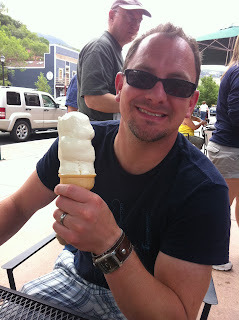 The best part of our visit was having an ice cream treat at Whit's End! Cody and I had a lunch date in Manitou Springs! Day 6: we took a trip to Boulder to check out the Pearl Street Mall. 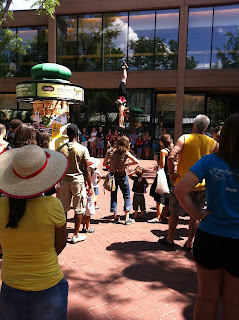 The street performers were pretty captivating! she was right in front of the most incredible kitchen shop! 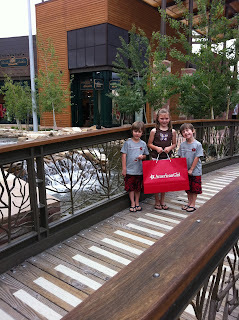 Kids watch : Mom shops! We took a little scenic drive through the mountains near Boulder. The elevation started doing funny things to my baby belly, so we headed back to Denver. 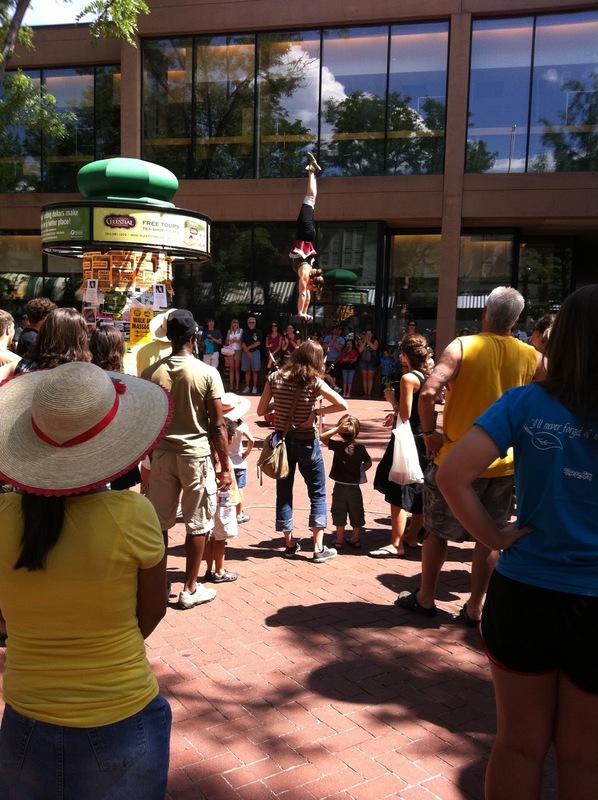 The kids loved the high diver and the roaming musicians! Day 7: We went to church at an Acts 29 church plant near downtown Denver. I so admire the families willing to step out and plant a new church! This house was across the street from the church...so charming! 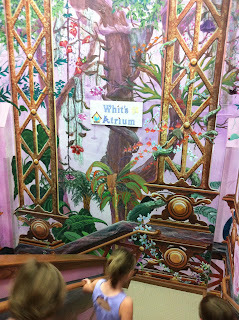 Day 8: We spent the day at WATER WORLD! 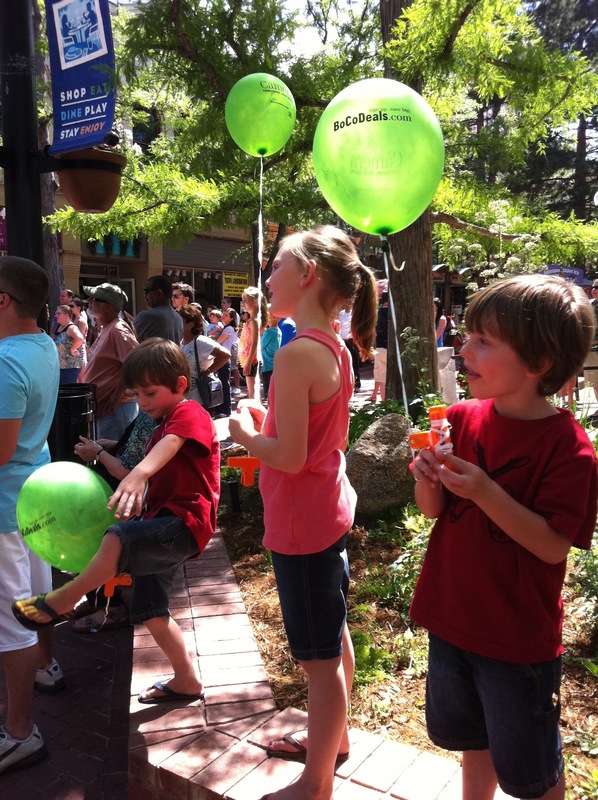 The kids LOVE water parks, and this one boasts being the BEST in America! The flowers were all in bloom and so pretty! He took the kids (plus Grandma) on tons of slides and rides! The next three days, we were at a conference in the Denver area for our church. I felt pretty miserable and didn't catch any pictures. 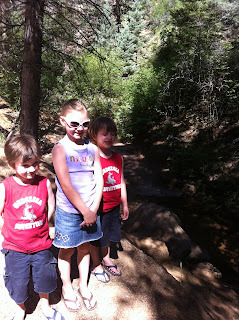 We did have a great time hanging out with college friends and their kids. 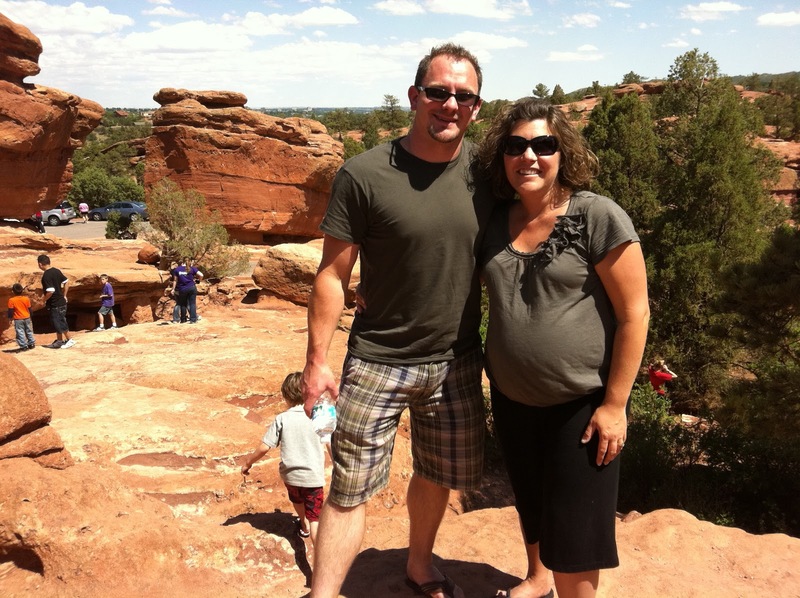 By Thursday, I was afraid we were going to have a Colorado baby, so we took off early and headed straight home. Thankfully, baby waited to come until all the vacation laundry was finished and Cody had the baby nook completed! Nothing like packing it all in to Summer 2011! Pssst...next year's family vacation: somewhere on the EAST COAST! Wow! Beautiful pics! 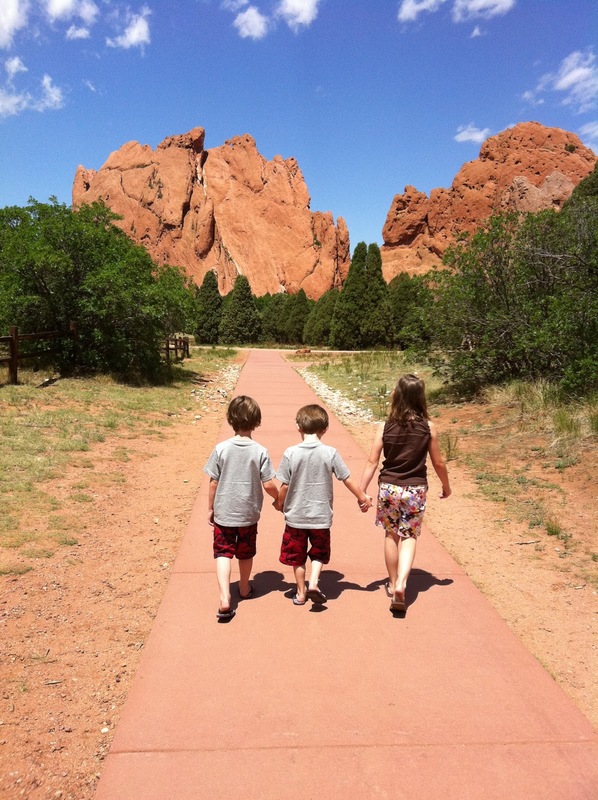 I LONG for the days of family vacations... feels like a lifetime away at this point. So glad you guys got this time away to refresh! SO MUCH FUN!!! We are wanting to head to CO next summer so this was a good overview of a potential vacay for us. Madeline is soooo jealous of the stop to Whit's End. She LOVE LOVE LOVEs AIO as it is called in our house. 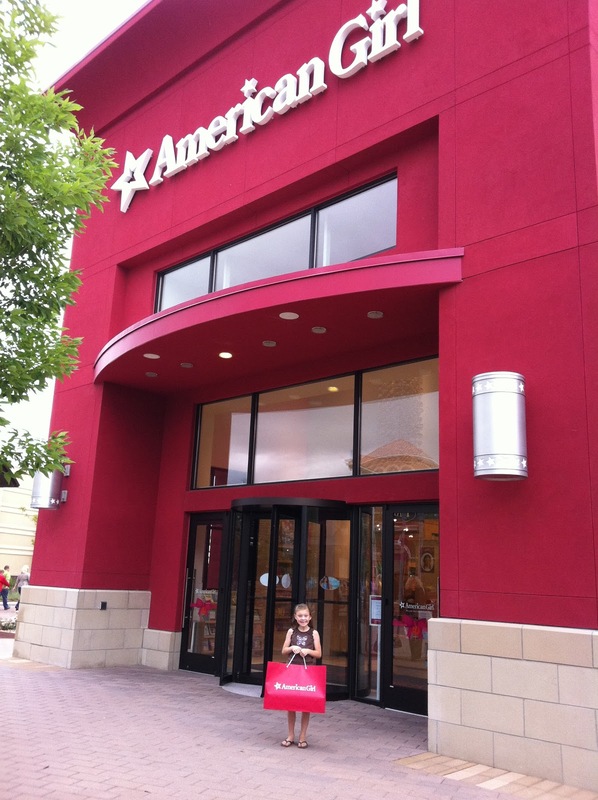 so glad cloe was able to visit the american girl store! that's such a memorable treat. sharp curves and drop offs... check! wow. those pix are amazing. I bet you shopped at Peppercorn! It is my favorite stop, sans kids, on pearl street. Wow! What a fun trip! I love Casa Bonita too! Haven't been in like 16 years, but I'm glad to hear it still exists. I loved looking at all your pics! I miss you and now won't see you again for another 2 weeks! :( Kiss that sweet baby for me! Wow, looks like such a great time!! How we beat the heat!